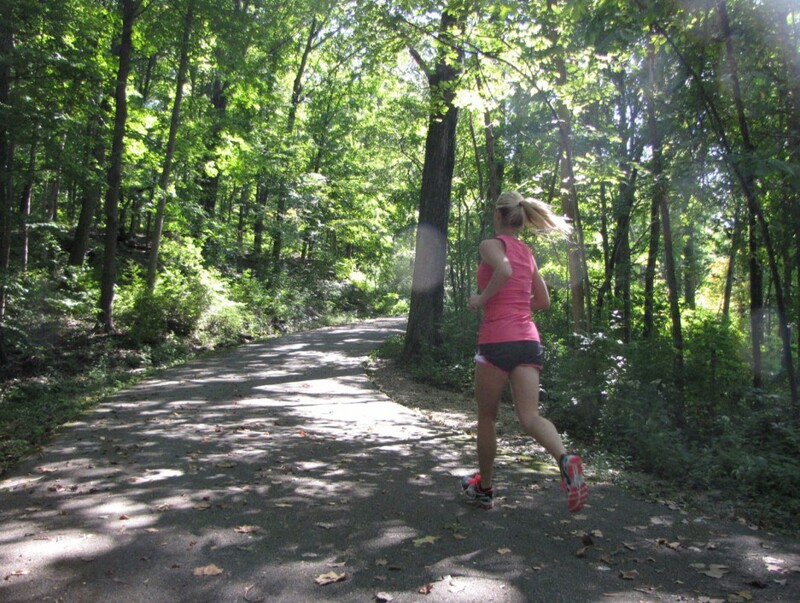 Am I seriously already halfway through my training for the Indianapolis Marathon? Where the %^&$* did the time go? Tuesday: 6 miles total. 4 miles at lunch (8:30 average pace) + 2 miles late night (8:34 average pace)that weren’t really necessary, but I was frustrated with life stuff and needed to run off some aggression. My Garmin said I ran 16.05 miles, while Strava says 16.4. Not sure which one is right, so I’m just going with my Garmin as far as mileage goes. I felt really strong those last 6 miles. 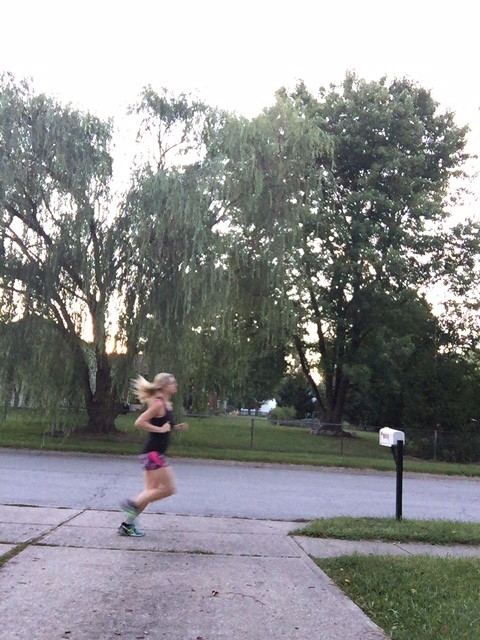 I never would have believed even a year ago that I could hold those paces after already running 10 miles. I really don’t even believe them even though the numbers are right there in front of me. Did that really happen? I feel as if a BQ might be possible, especially after how good this felt. But, who knows? The hecklers in my brain (I imagine they look like Statler and Waldorf from the Muppets) are telling me this was a fluke or a computer error. Who knows? I’m just going to keep doing the work and will see where it gets me. Where did the additional mile for the 17 mile total come from? My drill sergeant trainer, AKA Max, insisted that we run to the park. My legs were shot, so I figured I would walk him instead of run and take the shortest possible route. 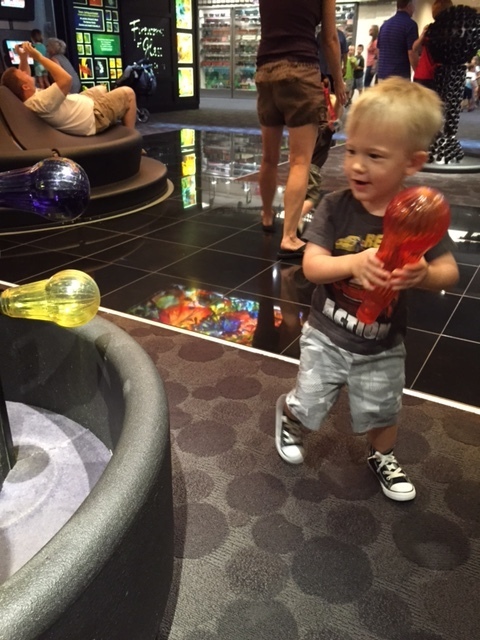 He kept saying “Faster, momma. Faster!” So I ended up jogging the ~half mile there and ~half mile back. I usually take the long route, so I wore my Garmin just to see the distance when I don’t add in any extras. Saturday: 7 miles total. 3.1 miles AM (9:19 average pace), 4 miles (9:00 average pace) during Max’s nap. I wasn’t planning to do the 4-miler, but I was itching to run and I told myself I could as long as I kept it easy. Sunday: 7 miles total. 4.3 miles AM (8:45 average pace), 2.7 miles (8:34 average pace) on the treadmill during nap time. I’m happy with this, but I really don’t want to increase my mileage any more than this. I’d like to keep it in the upper 40s to low 50s and increase the quality, not the quantity, from here on out. 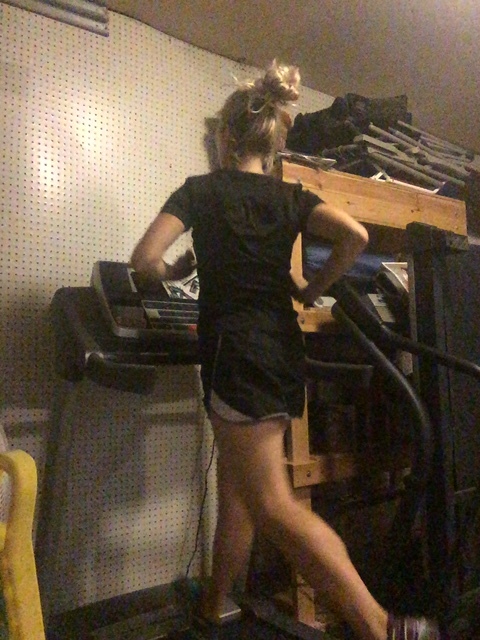 I have the tendency to run junk miles whenever I get the chance (see Saturday and Sunday’s afternoon treadmill miles). Maybe those doubles are helping, but most likely they are just making me more tired. I woke up this morning feeling like I was hit by a bus and I’m sure it’s because of the added miles this weekend. I think I would have been better served by taking the day completely off on Saturday. Note to self: You don’t need to run ALL the miles. 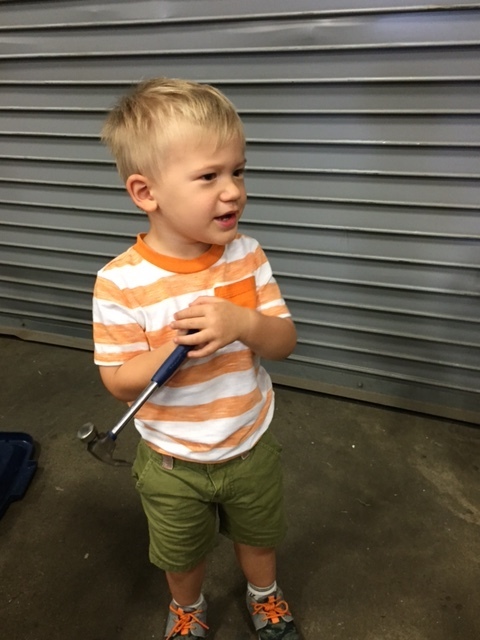 Saturday my friend and I took Max and her son, who is the same age as Max, to a kids’ workshop at Lowe’s. 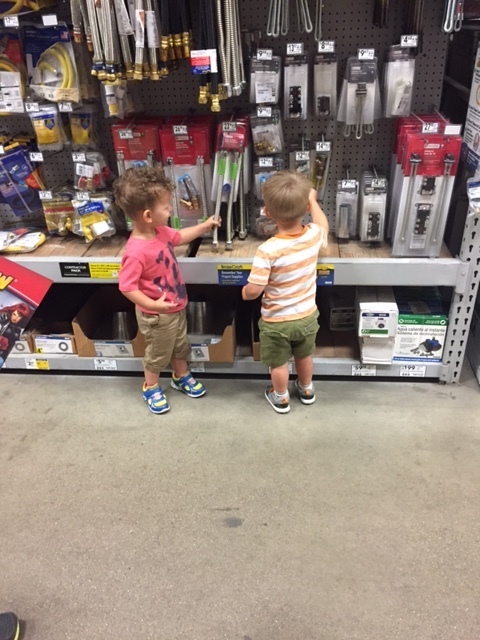 They were so too young for it and were not interested at all. She and I tried to do the project, but we couldn’t read the directions. Mommy fail, haha. We ended up bailing and letting the kids run around the store for awhile. The staff loved us (sarcasm). 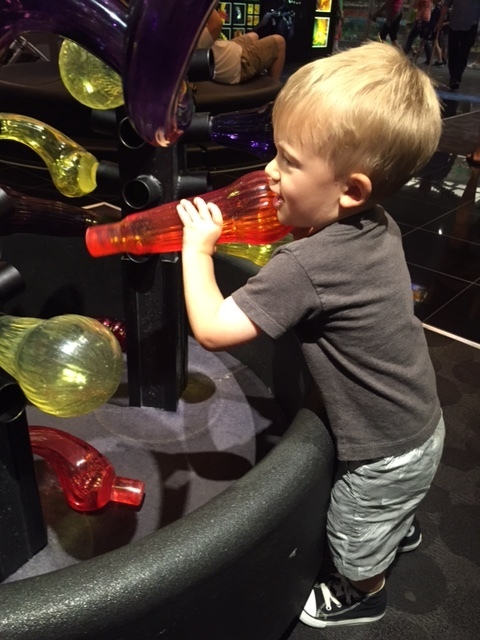 Sunday, Max and I went to our favorite place, the Children’s Museum. We go here at least twice a month. 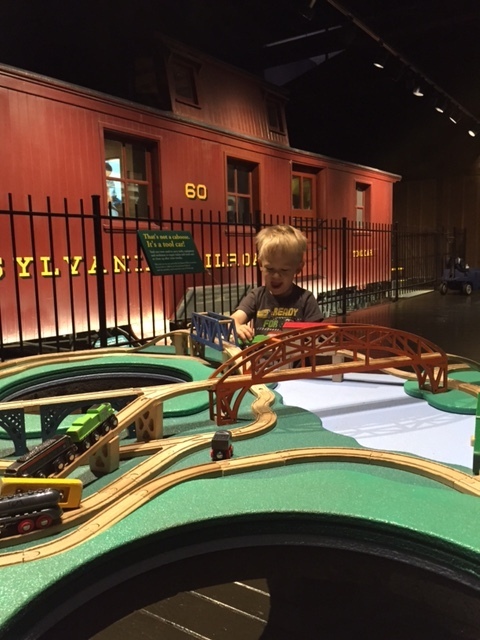 We spent a lot of time looking at and playing with trains. 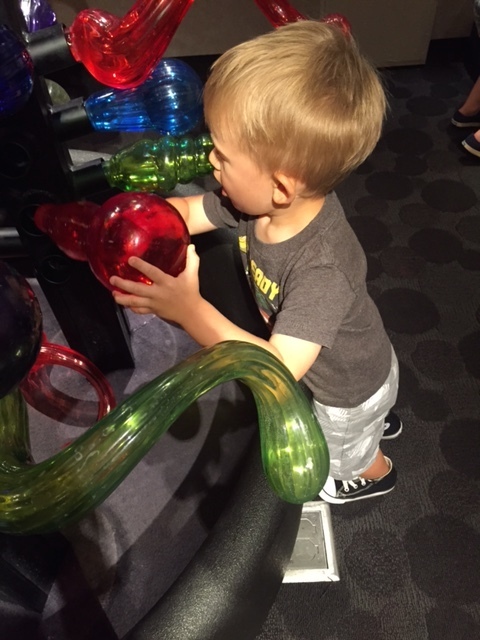 The Museum has a giant glass sculpture in the center by Dale Chihuly called “Fireworks of Glass.” It’s STUNNING. It extends all the way from the first floor to the fourth and is the focal point of the museum. In the basement, you can go underneath the sculpture and look at it from below. There’s also a bunch of fake “glass” pieces that kids can play with and create their own sculptures with. 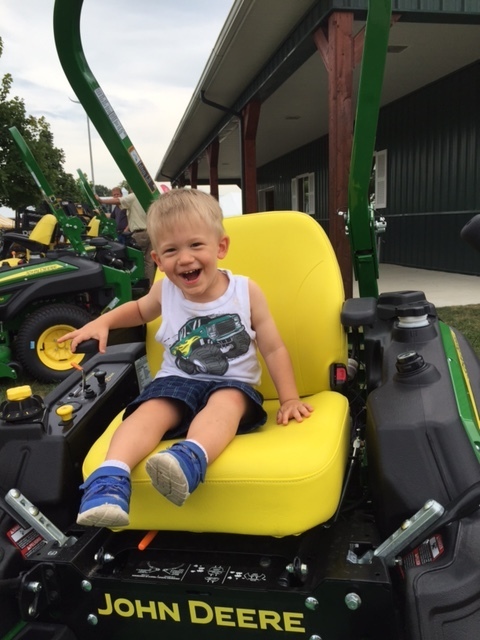 Max loved it! Sunday afternoon and evening were spent cleaning, playing and grocery shopping. Max woke up early from his nap, so I went and got him. I sat on the couch with him and he promptly fell asleep. I ended up holding him for about an hour while watching 27 Dresses and eating Skinny Pop white cheddar popcorn. It was blissful. Whew, that was a long recap! 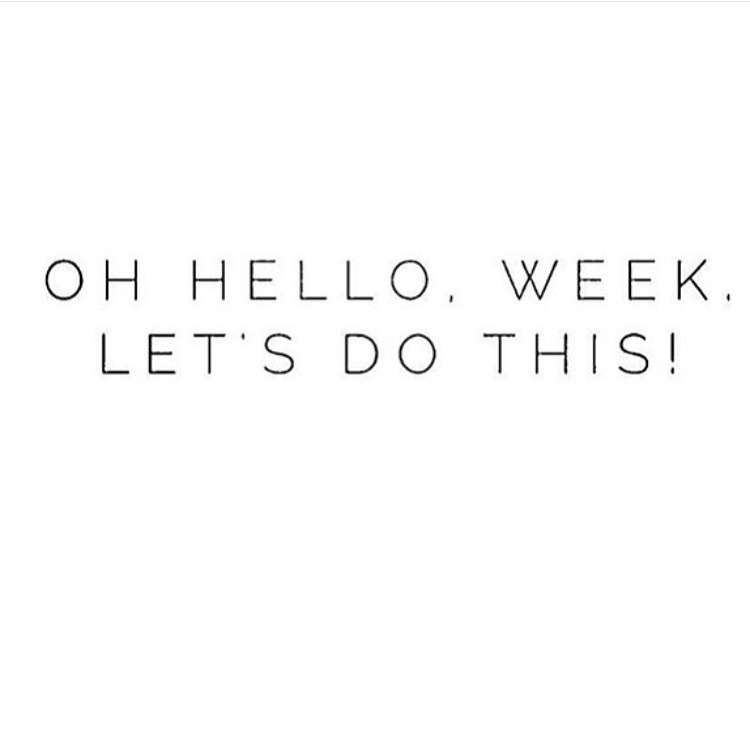 Cheers to a new week and being halfway to the start line! P.S. 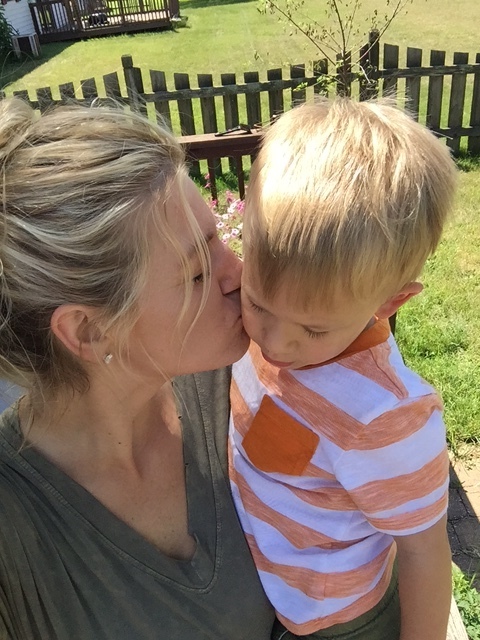 – I started an Instagram just for Motherhood and Marathons! If you follow my personal insta and you want to see more running-related stuff, follow my m&m insta! If you don’t follow me, please do @motherhood_and_marathons !! How was your training last week? What did you do this weekend? One more day ’till Friday, One more day ’til Friday!! Can you tell I’m excited for the weekend? I feel like this week has kind of dragged on. I’ve been trying to spend more time with the husband in the evenings, which has led to late nights. He’s a stay-up-late kind of guy, as he often gets home from work after 11PM through the week and as late as 1AM on weekend. Last night he came home around 10:45 and instead of saying “Hi” to him real quick and then going to sleep, I stayed up to talk and watch TV with him. Quality time, yo. As a result, my 5:30 AM alarm came way too quick. 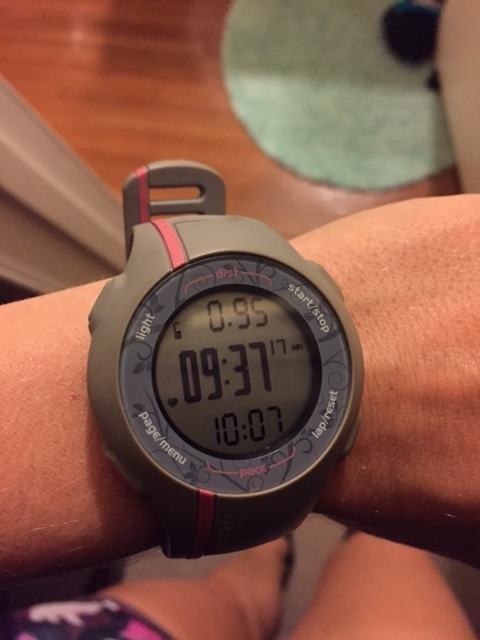 I snoozed until after 6 (EEK) and headed out for an easy run. Tuesdays and Thursdays are usually “workout” days, but Tuesday’s workout didn’t happen. 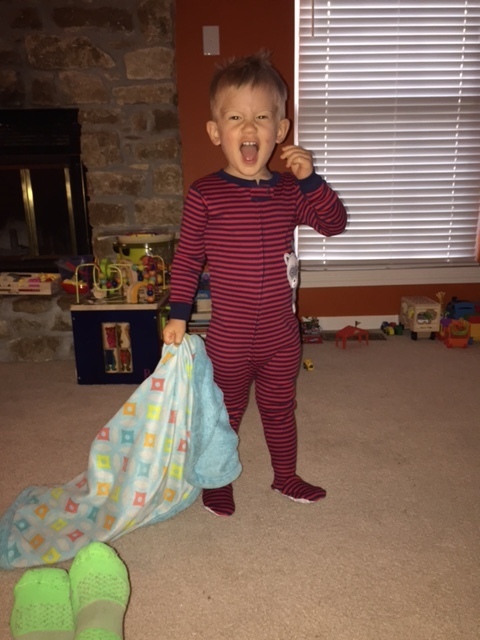 I was comforting a sick/upset toddler in the morning, so I had to miss my morning run. Instead, I did an easyish run at lunch and a couple miles in the evening. I moved the workout to Wednesday, but of course the husband and I stayed up late Tuesday night watching Wayne’s World, and so I was late heading out the door. 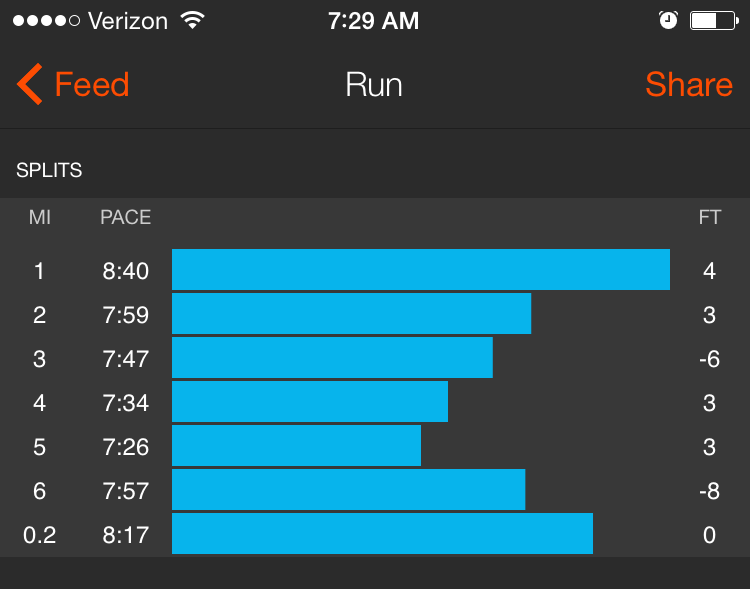 I squeezed in 6.3 miles yesterday with a few fast (for me) paces. Long story short, I needed today to be easy since yesterday was a semi-workout. I’m considering moving Saturday’s long run to tomorrow and making up the Thursday workout on Sunday. Does that make any kind of sense? Haha, I just need two days between a hard run and a long run. This is all getting way too complicated for this early in the morning. Anyway, I managed 7.1 easy paced miles this morning. I pushed my time, as Max is usually up between 7-7:15. I try to get home a little before 7, shower as quickly as possible and then go get him. He usually just wakes up and chills in his crib, talking to his stuffed animals or babbling about whatever random stuff is in his mind. He doesn’t usually cry or get upset unless he’s been awake for awhile and I haven’t gone to get him yet, and this only happens if I’m home late from running. I came in this morning at 7:20, expecting to hear an upset Max. Instead – silence. The kid didn’t wake up until 8!?! I usually get him up after my shower and then blow-dry my hair while he watches cartoons or plays. I wake up the husband at 8, finish up my make-up and dart out the door. Today, I was pretty much ready by the time Max got up. Score! So my week may be a bit off, workout wise and mileage-wise, but I’m really fine with it. In the past, I would have obsessed. I would have done anything to stick to my exact training plan and would get pretty bent out of shape if I was “off.” I also ran way too many miles and was always exhausted. And my times were slower than they are now. After having Max, I realized I could maximize my training by adding in one or two tough workouts a week, and losing some of the excess miles I was putting in. I’ve only done one full marathon since the little dude arrived, but I found the training sooo much more enjoyable because I eased up on myself. I aimed to hit the plan as much as possible, of course, but if I missed a run or workout, or didn’t hit the paces I wanted, who cared? I ended up running a 24-minute PR. I’d say flexibility works for me. 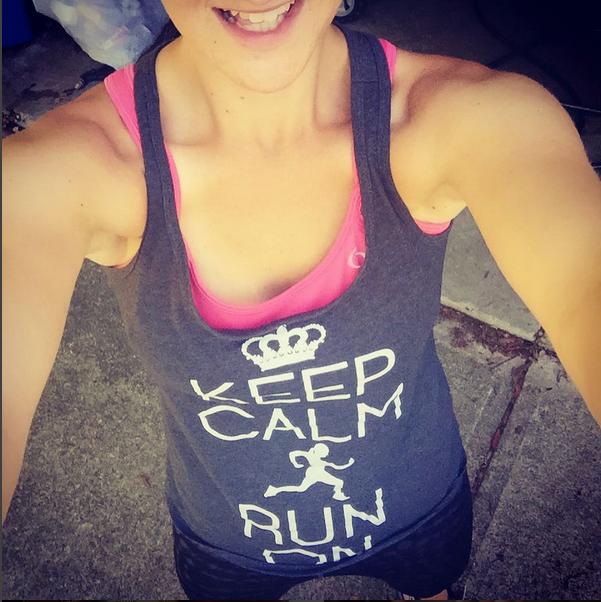 I’m also so much happier the less I worry about whether I ran 6 miles or 9 on any given day, or whether I hit 45 miles instead of 60 miles for the week. In the grand scheme of things, running is small potatoes. It’s what I do for fun. For stress relief – not added stress! I of course want to BQ this fall, but if it doesn’t happen, if have 30+ years of running (fingers crossed!!) to make it happen. I would rather be happy, fulfilled, and enjoying time with my friends and family versus losing sleep over my training. I’m focusing on what’s important and not sweating the small stuff. It’s definitely a much more fun way to train. 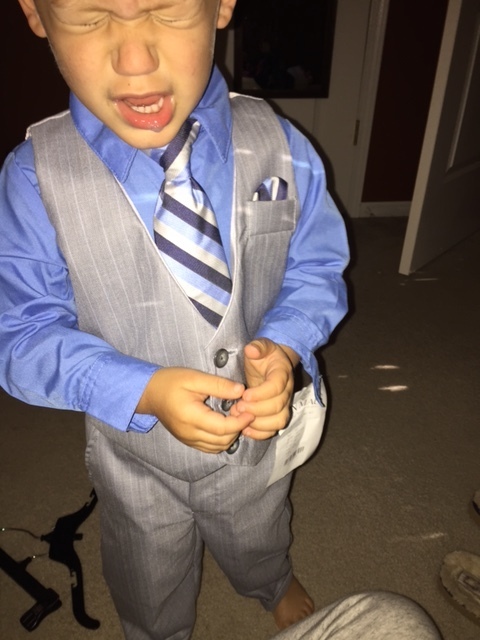 Wearing a suit is NOT SMALL STUFF according to Max. It’s definitely worth sweating, or crying, over. Back to the grind I go! …but I’m sure you already have 🙂 I would have forgotten about this little blog by now, too. It’s been like 3 months since I last blogged. I know. I know. I’m not the best at consistency in blogging. I am great at consistency when it comes to eating too much candy (I do that on the regular), not folding laundry and (SHOCKER) getting up early and running. 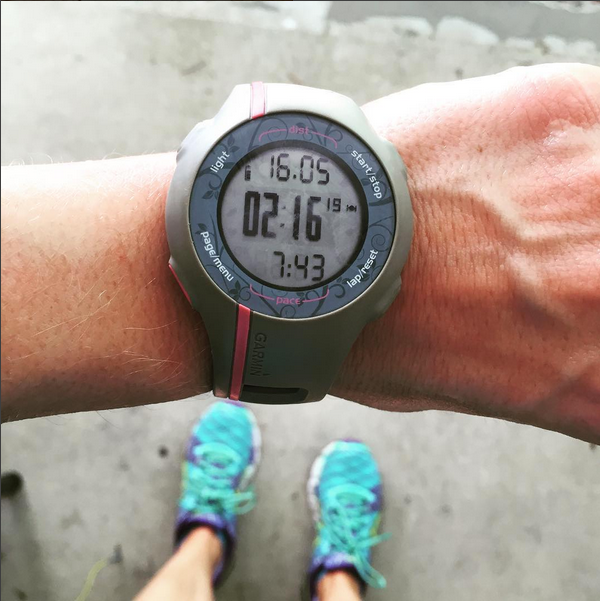 I’ve talked about my struggle to become a morning runner before. Turns out, all I needed was absolutely no other option to force me out of bed. OK, that’s an exaggeration. I do have other options besides rising at the crack of dawn when it comes to running, but they are far less appealing. Lunchtime runs are a challenge these days because it’s soooo humid that I pretty much have to take a shower post run or I’m wet and way too stinky for work. So NOT profesh. Does it make me sound more professional that I shortened the word to profesh? I thought so. So those runs are pretty much out until fall. 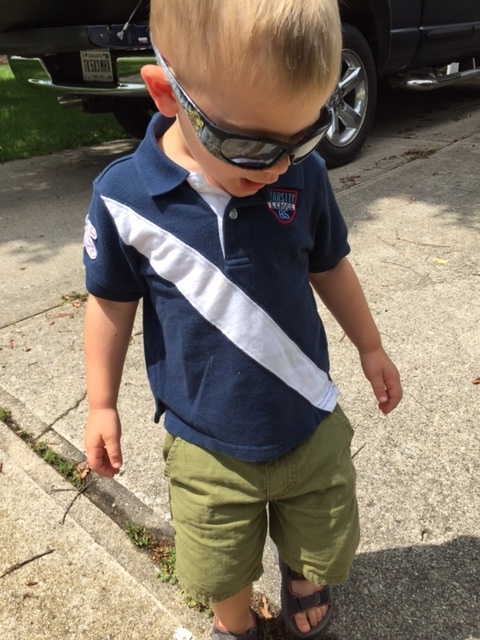 If you recall—which I’m sure you don’t because who cares?—I used to run after Max went to bed. Now Max has been pushing bedtime to 9:30 ish and that means I’m running until after 11. No bueno. 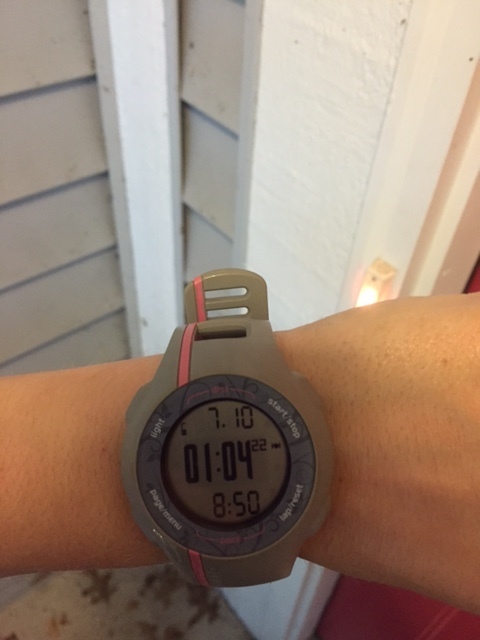 So this marathon training has been all about getting up early…and I’m starting to like it. And there it is, I said it, the “M” word. Yes, I’m mere 8 weeks from the starting line of the Indianapolis Marathon on October 17. How the heck did that happen? 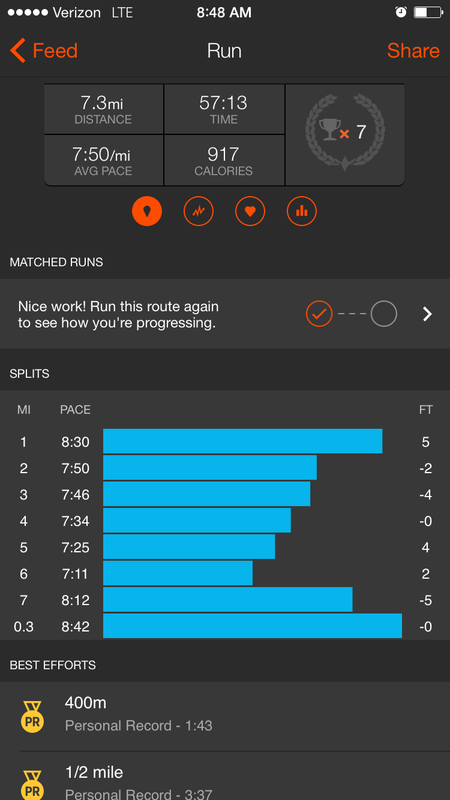 A recent run that was supposed to be a tempo, but turned into a progression (with a cool down). 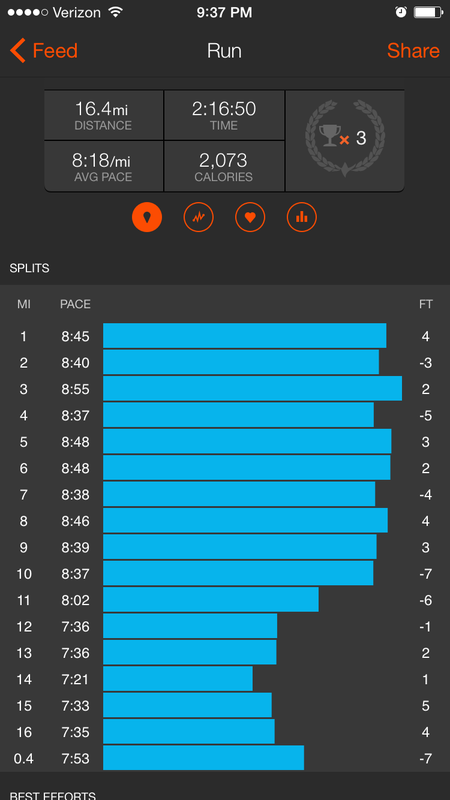 These are my splits from Strava – which I’m starting to love a little bit. I use it along with my Garmin, and when my Garmin is dead. At what point does a caption become too long? Right now? OK. I’m done. 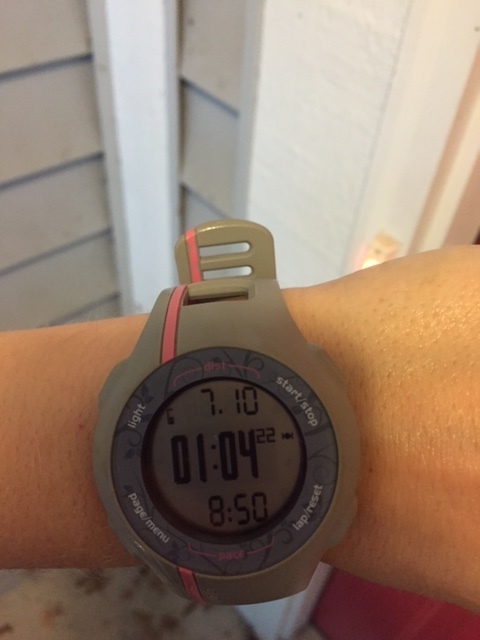 Sometimes I have to adjust the schedule, like the week we went on vacation I did my long run on Thursday. Every 2-3 weeks I take a break from long runs. I know most people do 3 weeks on and 1 week off, but I’ve found that my body needs a bit more of a break. It worked for me last year, fingers crossed it does this year, too. I’ve worked up to 20 miles, which I did 2 weeks ago, and the goal is to do 3 more 20 milers. This week, my planned long run is 18 (last week was off) and I’ll shoot to do 10 miles easy with 6 miles at tempo, followed by 2 at marathon goal pace. So, yeah that was a lot of talk about me, me, me and my training. I suppose I’ll talk more some other time about my paces and how freaking hard goal marathon pace (8:07) still feels sometimes. Instead, here’s some pics of my favorite person ever, because that’s why you’re here, right? How has your summer been? Anyone training for a race? I’m out of the loop, fill me in!! !